For more than 80 years, the University of Kentucky’s Gatton College of Business &?Economics has been preparing graduates for today’s business world. The College houses bachelors, masters and doctoral degree programs within five academic units: Finance & Quantitative Methods, Management, Marketing & Supply Chain, Economics and the Von Allmen School of Accountancy. A member of the AACSB International (The Association to Advance Collegiate Schools of Business), Gatton College is accredited to offer undergraduate and graduate programs in the business disciplines. Applicants to the Gatton MBA program must submit the following materials: official transcripts for all undergraduate study (minimum GPA of 2.75 on a 4.0 scale required); an official score report for either the GMAT or the GRE; three letters of recommendation from individuals who can objectively assess the applicant's character and capabilities; a c...Applicants to the Gatton MBA program must submit the following materials: official transcripts for all undergraduate study (minimum GPA of 2.75 on a 4.0 scale required); an official score report for either the GMAT or the GRE; three letters of recommendation from individuals who can objectively assess the applicant's character and capabilities; a current resume; and a completed application. International applicants who do not hold undergraduate degrees from a U.S. institution must also submit an official score report for the TOEFL or the TWE. Gatton admits MBAs for the fall semester only. Among those accepted to the most recent class, the average GMAT score was 603 and the average undergraduate GPA was 3.34. For full-time MBAs, “Life at UK is focused on school rather than extracurricular activi­ties, largely because of the length and intensity of the program.” Cramming two years’ worth of learning into eleven months doesn’t leave a lot of time for extracurriculars or socializing. Full-timers generally live in “nice…well-priced” housing located “relatively close” to campus, “which is nice considering we are all working with companies [on Project Connect projects] and we have to meet daily.” The MBA group forms “a very strong community.” On days we have class, nearly all students arrive 45 minutes to an hour early to socialize and visit” in the “dedicated MBA lounge...Professors will stop by as well.” When time permits, students enjoy getting out and about in Lexington, an “exciting” and “excellent city” with “plenty to do.” Gatton full-timers don’t have “as much work experience as [students at] some schools,” but they are “hard workers and add a certain competitive edge in the classroom which I feel improves the overall experience. Outside of class, many of us commonly get togeth­er to socialize and even discuss business-related topics/concerns that arise in our work­places and in the economy.” The part-time student body includes a substantial number of “engineer-schooled and extremely goal-oriented” professionals. MBA students have access to comprehensive career services through Gatton College’s Office of Career Services, including a career development course, which is required for one-year students and optional for part-time students. They also put on events in con­junction with the university-wide James W. Stackert Career Center, such as a large, two-day career fair each semester, employer information sessions, and campus interviews. To help students prepare for these events, MBA Career Services offers individualized coach­ing sessions on topics including: resume writing, job searching, networking, interview­ing, salary negotiating, etiquette, and more. Last year the average salary for a Gatton graduate was $55,926. Companies hiring Gatton MBAs include Aldi, Alltech, BB&T, Brown-Forman, Deloitte, Ernst & Young, Fifth Third, Goldman Sachs, Honda Motors, Humana, KPMG, Lexmark, Procter & Gamble, PricewaterhouseCoopers, Schneider Electric, Tempur-Pedic, Toyota, and Wright-Patterson Air Force Base. The Gatton MBA Program is defined by three important qualities that set us apart: Value – Ours is a small program by most standards. But, the advantage of small size becomes obvious when considering the numerous factors that drive the quality of the program. For starters, our program affords closer interaction with our world-class faculty, greater cohesion among MBA students, and tighter networking opportunities with employers, alumni, and visiting executives. Also, value is also a function of our highly competitive tuition rates, which creates a higher rate of return (the overall cost of the MBA versus post-MBA starting salary) on your educational investment. Experience-enhancing – Whether you enter the program as a highly experienced, seasoned manager, an early career corporate fast-tracker, or a relatively inexperienced, yet energetic executive-to-be hopeful, our curriculum features many experience-enhancing activities, exercises, and simulations that are real-world, real-time, and hands-on. Each is designed to build your skills set, broaden your perspectives, and challenge and test your capabilities. Expedience – Our 36-hour program enables most students to earn their degrees in three semesters (beyond the program prerequisites). Though expedient, the program doesn’t sacrifice quality. Our program is rigorous, intense, and fast-paced. Simply put, it gets you prepared for the job market sooner, thus further enhancing the value of the Gatton MBA.The Gatton MBA is fully accredited by the AACSB International (The Association to Advance Collegiate Schools of Business). 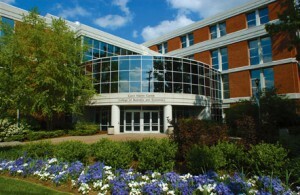 Want more info about University of Kentucky, Gatton College of Business & Economics Part Time MBA? Get free advice from education experts and Noodle community members.